You don’t want to throw away any of your favourite really old things? An old porcelain vase, some old car tyres in the garage(they make excellent garden planters for zero cost) or a wooden crate that you got the last autumn, a brilliant substitute for a workbench – what can you do in order to make them useful? Here are some ideas. 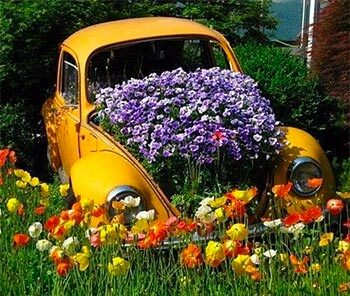 The idea of using some old stuff for planting flowers is very old. It is used by the Egyptians and the Romans and is developed in time, it was quite clear planting would help keep your plants healthy during a drought. Nowadays the interest towards this kind of gardening has increased during the 50s of the 20th century. Using different containers allows you to enjoy your favourite flowers in places that are not really supposed to have flowers growing on or are not very appropriate for traditional gardening. Even if you live in a small apartment you could try growing some fruits, vegetables, flowers or shrubs. And the best thing is that these plants can actually grow almost anywhere in your home – on the roof of the house, on the balcony, on the staircase, etc. They could even be used as a Mother’s Day Gift, what better way of showing your love than a handcrafted garden piece. One of the greatest advantages of creative gardening is the opportunity to be more experimental as well as the opportunity to optimise the living conditions that are of great importance when growing some plants – the temperature, the air humidity, the light, when to water, and so on. And this really makes a difference for the more demanding plants and flowers. 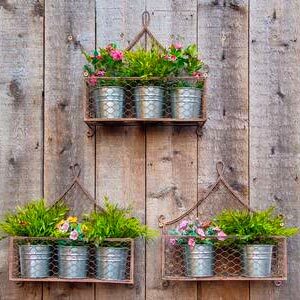 By using some hanging flower pots or hanging baskets and some old tin cans, you can limit the growth of some fast-growing flowers and shrubs. 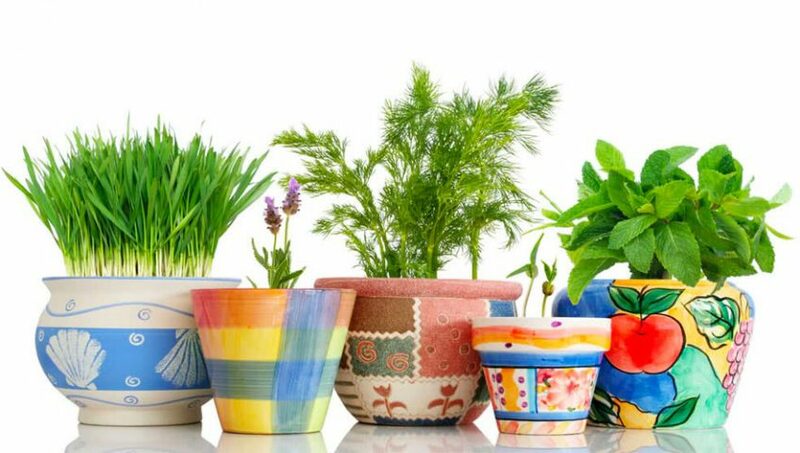 You can use these untraditional pots for growing different plants that look good together and can actually live in symbiosis required. This way plants themselves can help each other, you don’t need to spend on fancy troughs and planting accessories to make an interesting and varied garden(but the links are there in case you do want a short cut). 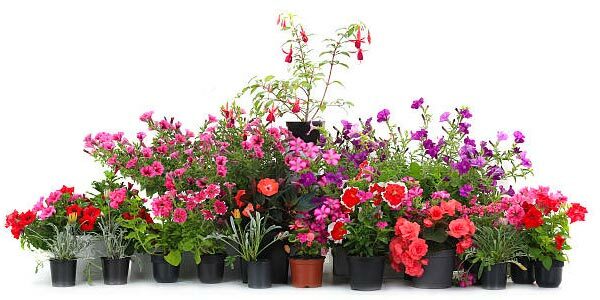 Plants that are grown in containers can be moved easily. If you decide you can move your favourite flowers from the garden to to backyard for example. This makes you easier if you are moving to a new accommodation and want to have your favourite plants with you. If one of your plants is attacked by pests, you can easily move the rest of them in a safer place and take care of the damaged one without damaging the others. Try to use the fact that some plants emit certain chemicals or toxins through their leaves and roots that keep the insects away. The small wooden chest with some blooming petunias can make even the most unattractive home look cosier. Using the creative gardening techniques can work really well for you in you need to decorate your balcony or backyard, too. 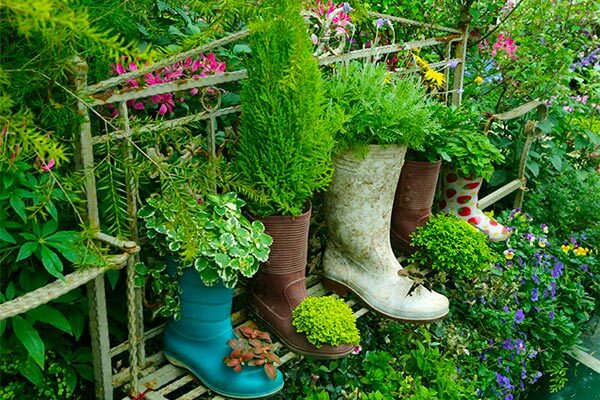 Making use of bits you would throw away that then become part of your lovely garden will make you feel good too. The first important decision you should make is whether to put several smaller containers or for example, two larger ones. 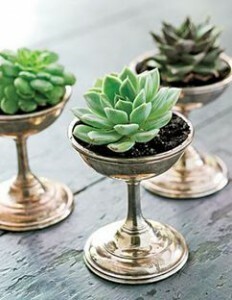 Then you should decide where to put them – on the balcony, on the staircase, in the kitchen or in the garden. You can plant some spices or flowers only – the choice is all yours. Before you start, take a sheet of paper and a pencil and make a scheme and a list with the main things you want to do. Where would the plants you have chosen feel best? Have in mind that the place you choose should be comfortable for you, in order to make watering the flowers easier as well as prevent you ever needing to tackle an overgrown part of your garden. Make sure that the containers are put in a place that is unreachable for your pets and children, a little toddler proofing is never a bad idea. It also provides an opportunity to teach your children about the garden. Not everything has to be bought and much can be recycled. Perhaps you could think about ornaments what would work as a nice bird bath, hopefully that would indeed help to attract these birds to your lovely garden. What are the materials you need? Use your imagination when choosing the containers which you will use to put the flowers in, for example if you have an old wheelbarrow or barbecue, use that as a large trough. In the first place, the size of the containers matters. It has to correspond to the size of the plant form an aesthetic and functional point of view. The size, the material and the shape of your container must be appropriate not only for the plant but also for the interior of your home.